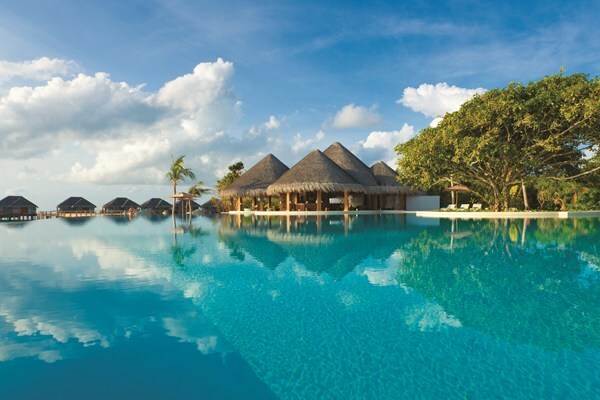 Maldives is an island in the Indian Ocean with 26 atolls. 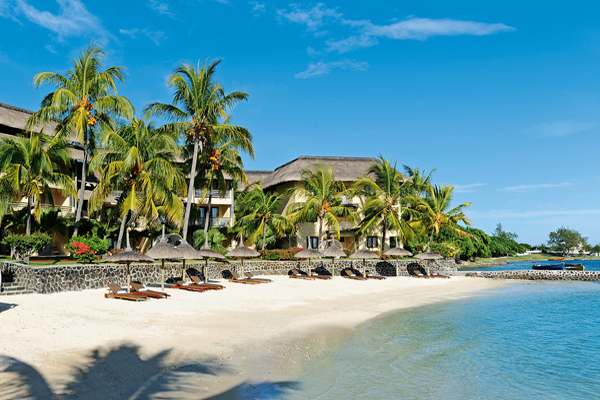 It is one of the most desired honeymoon destinations in the tropic. 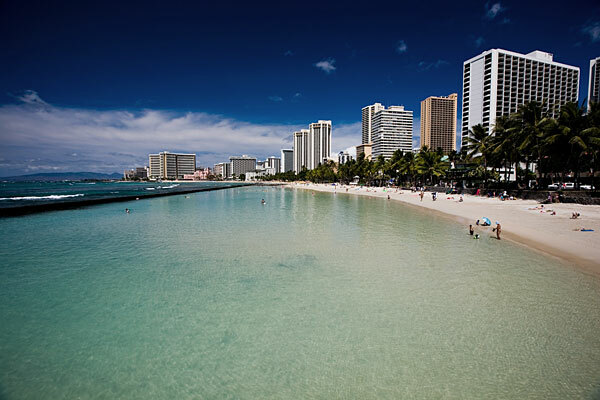 The island offers its visitors deep blue seas with white sandy beaches, great reefs, and granular vegetation. Maldives is no less than a paradise. People spend days here just to unwind and relax. Maldives is also a perfect spot for adventure lovers. It is a great place for snorkeling, diving and exploring the corals with thousands of different fish. It is a tranquil haven for the visitors. So if you are thinking of visiting Maldives, then here is a rundown of the best attractions of Maldives. Take a look! The Alimatha Island located in the Vaavu Atoll is one of the most popular attractions of Maldives. Alimatha Island is a perfect Maldivian destination for the traveler. Miyaru Kandu, its reef in the southern edge is one of the most famous channel dives in the whole world. The channel is so beautiful that the Maldives government has included it within the government-sanctioned list of protected dive sites. Take a 90-minute boat ride from Alimatha to see a spectrum of different colors of the soft corals. It is truly astounding. The Alimatha Island also has a watersports corner for canoeing, surfing and cat sailing, an Ayurvedic massage center and many multi-cuisine restaurants. The island also has a rich green vegetation surrounded by beaches and stunning sites. 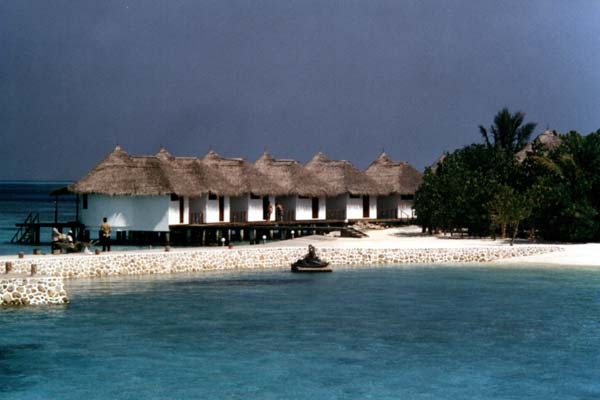 Remember, Alimatha Island has no television and telephones in the guest rooms. The Sultan Park is a public park surrounding the National Museum. The park stands as a witness to the diminishing glory of the Sultanate era. It is built on the southern side of the palace. The Sultan Park is an attractive place full of trees and flowers. It is one of the nicest places to see in Male. It is the perfect place to stretch the legs and breathe some fresh air. 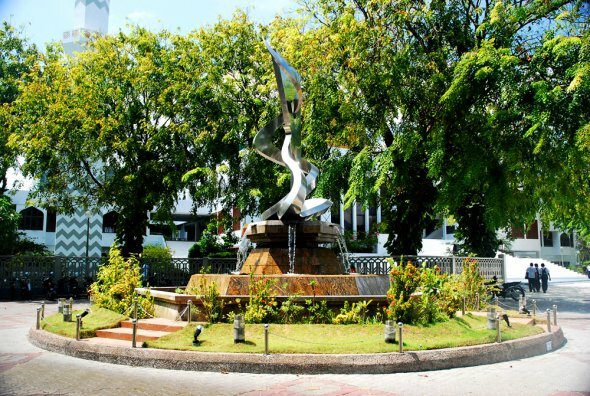 The Sultan Park gives an insight into the rich culture and history of the island nation. In the olden times, the Sultan Park offered a considerable collection of the tropical flora. It offered a magnificent view of the landscape. 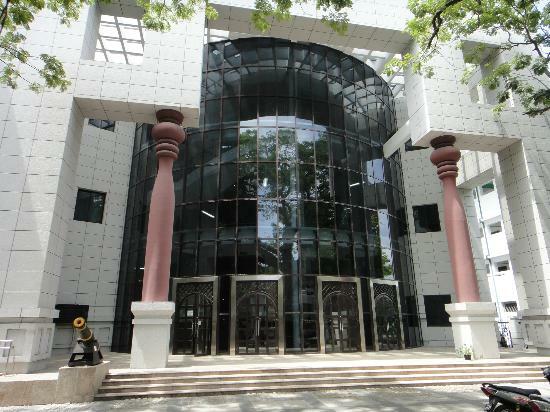 The National Museum, located at Male is another popular attraction of the Maldives. The building contains historical artifacts that reflect the history of the country. 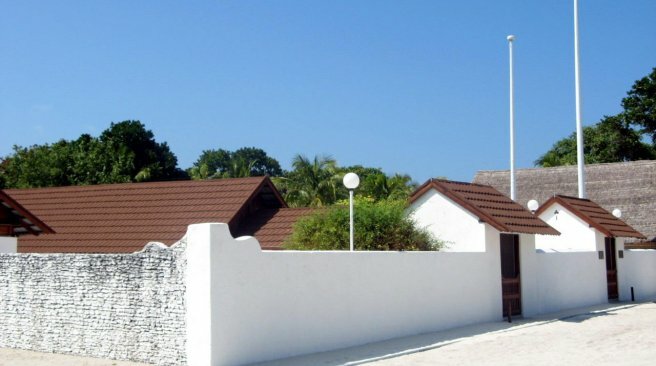 The original museum was just a three storey building that was the remaining of the Maldivian Royal Palace. The new museum was designed by the Chinese government. The original artifacts were collected from the old museum and were moved to the new museum. The museum houses manuscripts like ornaments, arms and costumes worn by the kings and queens of Maldives. It also has the miniature handwritten Quran and the Buddhist relics besides the historical exhibits. Hukuru Miskiiy, colloquially known as the Old Friday Mosque, is the oldest mosque of the Maldives Islands. The mosque was built by the emperor of the same name. The interior of the mosque is simply beautiful. It has coral stone walls with carvings of Arabic scripts and different kind of patterns. The mosque also has tombs erected in the memory of sultans, nobles, and heroes. The calm place is great for people who want to discover the Islamic and Maldivian culture. The place also has exquisite wooden carvings, which display the Islamic art. The drum-shaped minaret is the most striking feature of the Old Friday Mosque. Note- If you want to see the inside, then you must get the permission from an official of the Ministry of the Islamic Affairs. Manta Reef is another place that you must visit in Maldives. It is an area, where you can see a large number of manta rays being fed and cleaned. 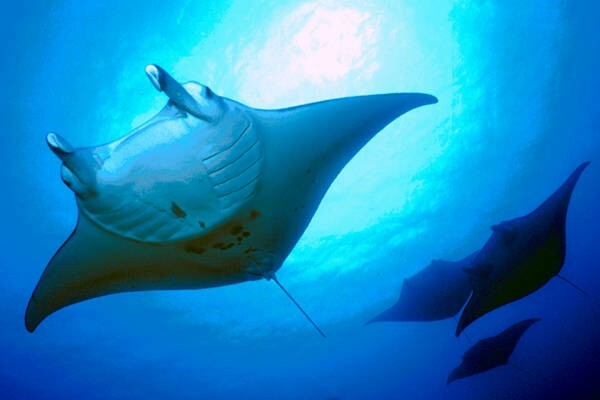 If you are an adventurous freak, then you must try scuba diving and snorkel with the Manta Rays. Manta Rays are found in large numbers at the Manta Point. The Manta Ray Cleaning Station is another unique place that you can see in your lifetime. The mantas gather here to get their plankton removed by wrasses. After being cleaned, they swim back gracefully to the reef feeding. The Banana Reef is the oldest diving site of Maldives. It got its name from the shape of the island. The area has some of the most beautiful cliffs, caves, and coral growths. The caves of the Banana Reef contain species of the exotic fish and other marine animals like soldierfish, squirrelfish, and Maldivian grubfish. The innumerable exotic fishes give the Banana Reef the reputation as one of the best diving sites in the Maldives. HP Reef is not meant for fainthearted people. It is a place for people who want to explore the underwater world. The HP Reed is situated at the North Male Atoll and is one of the most famous tourist destinations. 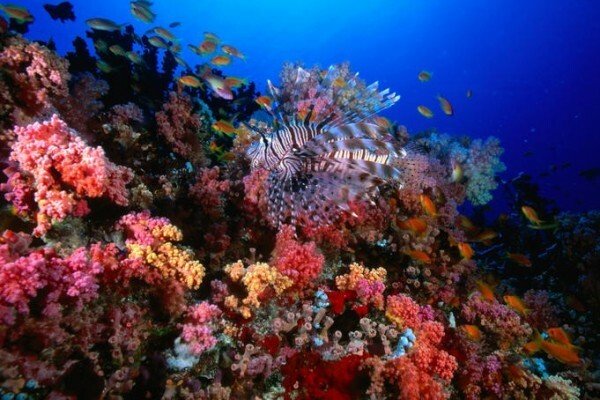 HP Reef is also called the Rainbow Reef because of its array of colors. It features the soft corals of different shades, sea whips or gorgonians. The HP Reef is the place where you can get a close encounter with numerous marine lives. It is a great place for spotting manta rays, dogtooth tunas and other exotic marine life. The Grand Friday Mosque is amongst the favorite places to visit in Maldives. The golden dome of this mosque dominates the skyline of Male. 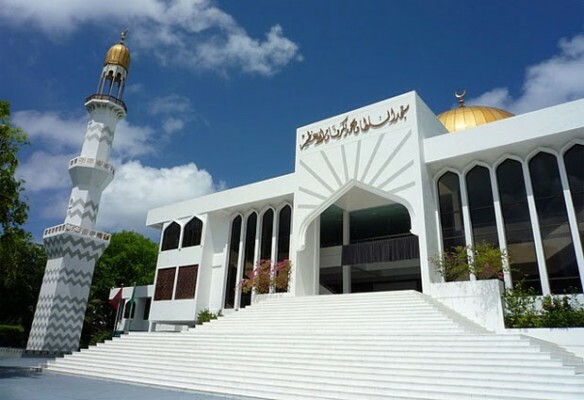 In fact, Grand Friday Mosque is no less than a symbol of Maldives. Locally known as Masjid-al-Sultan, the Grand Friday Mosque was built by Sultan Ibrahim Iskandar. It accommodates more than 5,000 people. The mosque looks striking even in its plainness. It is built in white marble and is free from any decoration. The mosque’s Islamic Center also includes a library, classrooms, and a conference hall. If you want to enter the mosque, then you have to visit between 9 a.m. and five p.m. and during the prayer time. The mosque closes to all the non-Muslims 15 minutes before the prayer call. And make sure you are modestly dressed when visiting the mosque. The gorgeous Addu Toll is worth visiting in the Maldives. Previously known as the Seenu Toll, the Addu Toll extends the Maldives into the Southern Hemisphere. The Addu Toll has some inhabited islands, including the Gan Island. This heart shaped atoll is home to some of the most colorful corals in the country. 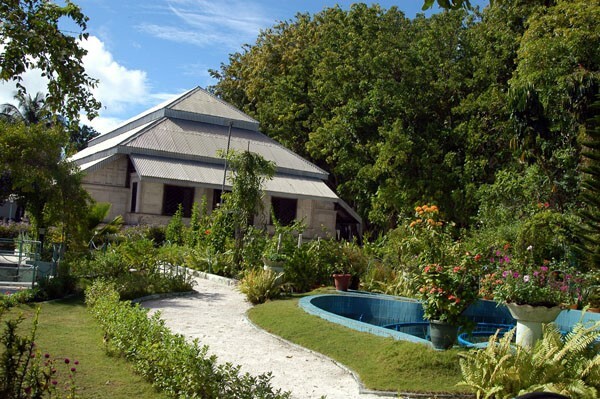 The Addu Atoll also has a splash of late colonial flavor. The place was a military based until 1975. The Addu atoll is also the main economic and administrative center in the south of the Maldives. The Utheemu Ganuvarva is one of the historical attractions of Maldives. It is the place where Sultan Mohamed Thankurufaan lived in his early years. The site is located in Utheemu, an uninhabited island in the north of the Maldives. Mohamed Thankurufaan is considered one of the heroes of Maldives. He earned high respects from the Maldivians for his heroic actions. He saved the natives from the Portuguese conquerors. A member of staff will take you around the museum where you will witness 500-year-old wooden interiors, including the swing beds, wooden carvings, and a large palm-thatch shed. 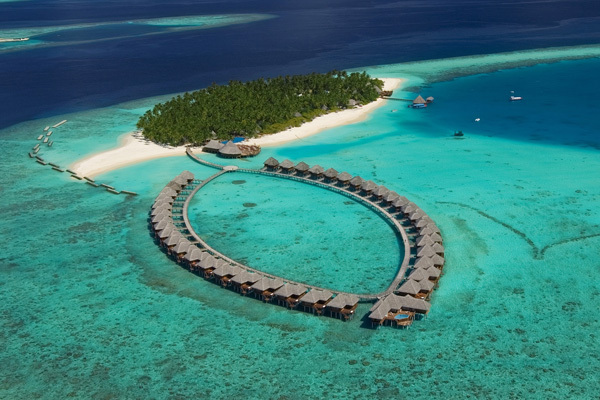 So, these are the top ten places that you must visit in Maldives. If you have any suggestion on the places to visit in Maldives, then please leave us a comment below.